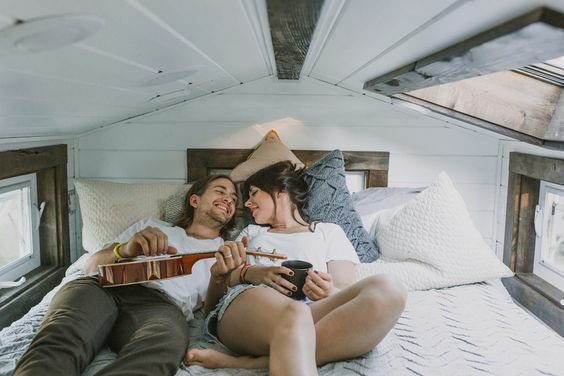 There are a few decisions you need to make before you design your tiny house loft. What kinds of windows do you want? 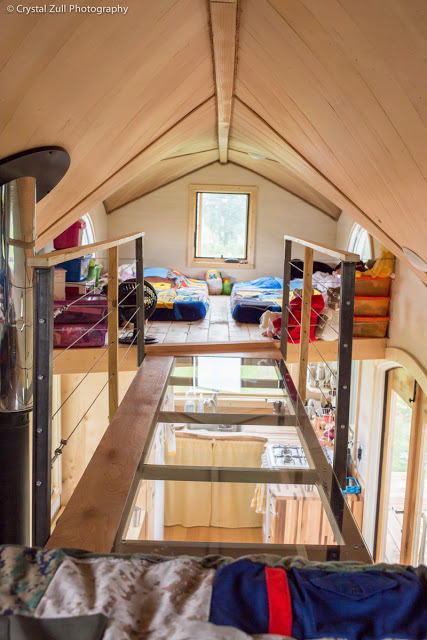 Are you going to include room for storage in your loft? Do you need some kind of railing for safety? 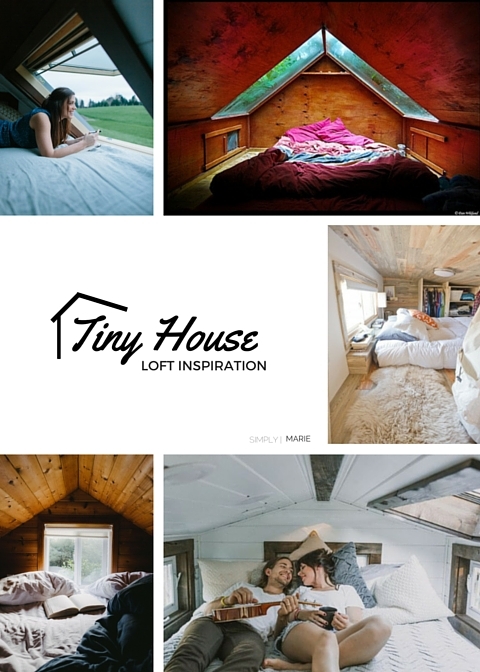 Here are a few of my favorite tiny house lofts. 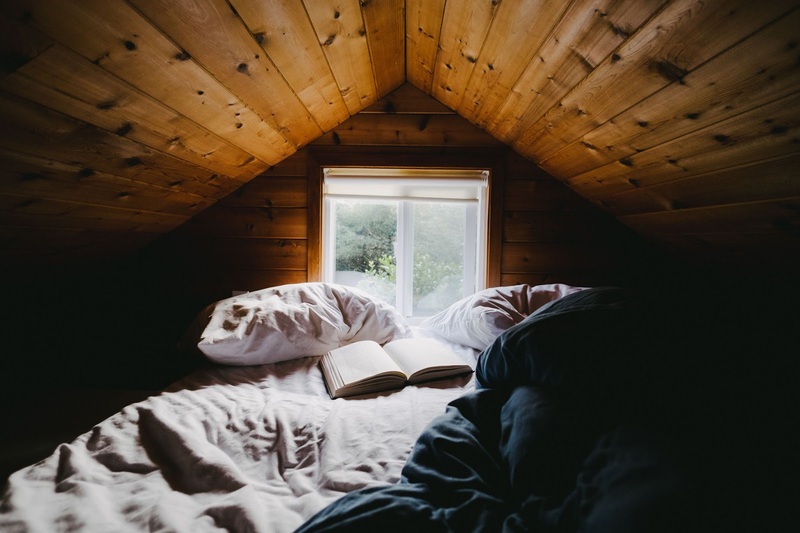 What do you want your loft to look like? Here is a simple, creative solution if you need more loft space. What about two lofts with a cool mini-skywalk in between? You can make your loft a triangle, or get more space by raising and flattening the roof like this loft. This loft as a skylight and side windows. This might be my favorite. The skylights are huge! 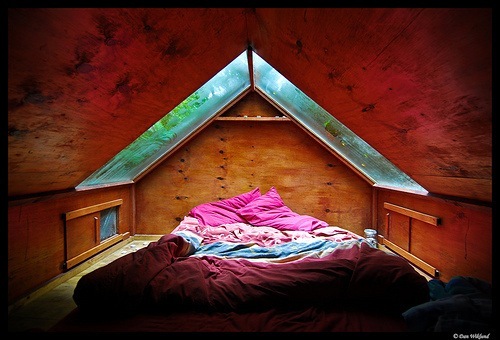 Imagine waking up naturally with the sunlight and listening to the rain at night. I’m pretty good at coming up with worst-case scenarios. That is why it’s very important to me to have an “escape window” in my loft. 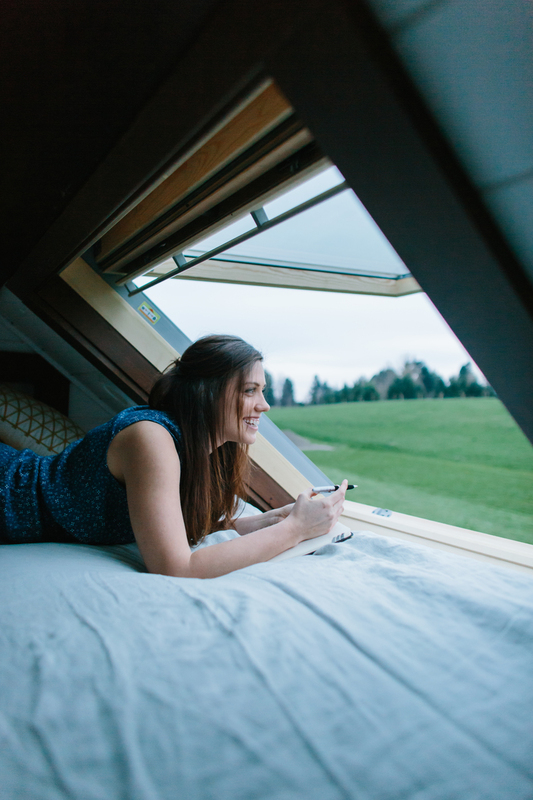 If you choose to have a smaller loft, giant windows can help open up the space. This all-white house is as fancy as it comes. Another one of my favorites. Escape window, check. Looking to add storage to your loft? 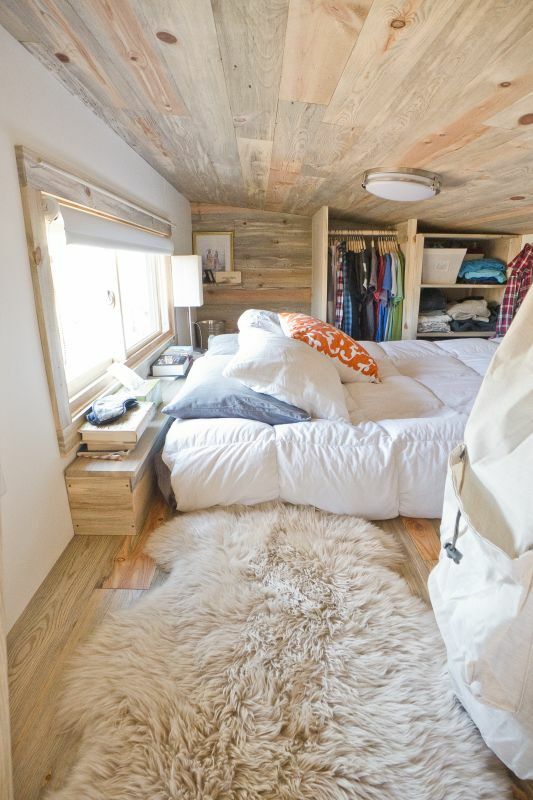 In a tiny house, every square inch counts. You can add mini closets to your loft.